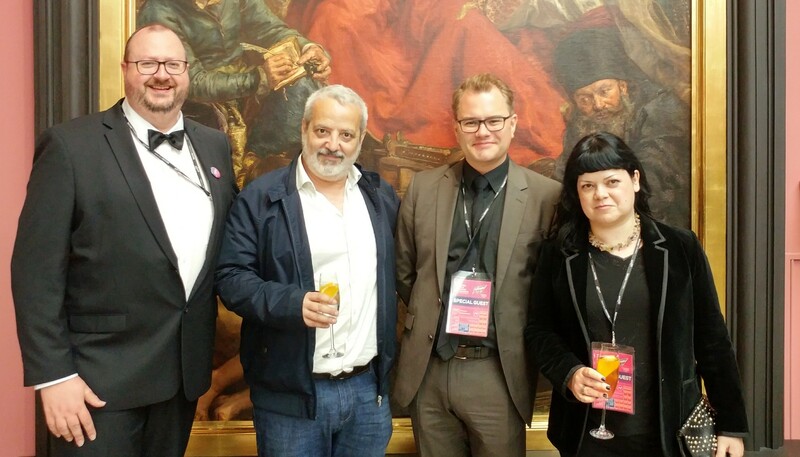 IFMCA members Jon Broxton, Eleni Mitsiaki, David Serong, and Conrado Xalabarder recently attended the 10th Krakow Film Music Festival, held in Krakow, Poland. 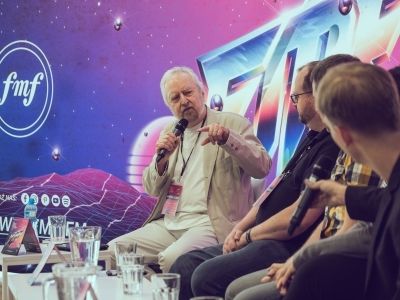 The festival was a week-long celebration of the film music art, featuring numerous concerts, panels and masterclasses, involving some of the world’s most respected composers and film music professionals. 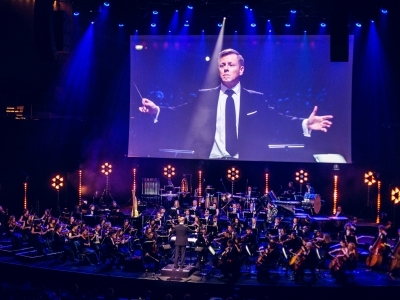 Composers Howard Shore, Brian Tyler, Jan A. P. Kaczmarek, Abel Korzeniowski, Klaus Doldinger, Jean-Michel Bernard, Trevor Morris, Sean Callery, Giorgio Moroder, Richard Bellis, Gary Marlowe, Atanas Valkov, David Kurtz, Jamie Forsyth, Maciej Zielinski, Marcin Przybylowicz, Lukasz Targosz, Michal Turnau, and Bartosz Chajdecki were all in attendance at the event, which has grown to become one of the world’s most prestigious film music related events. 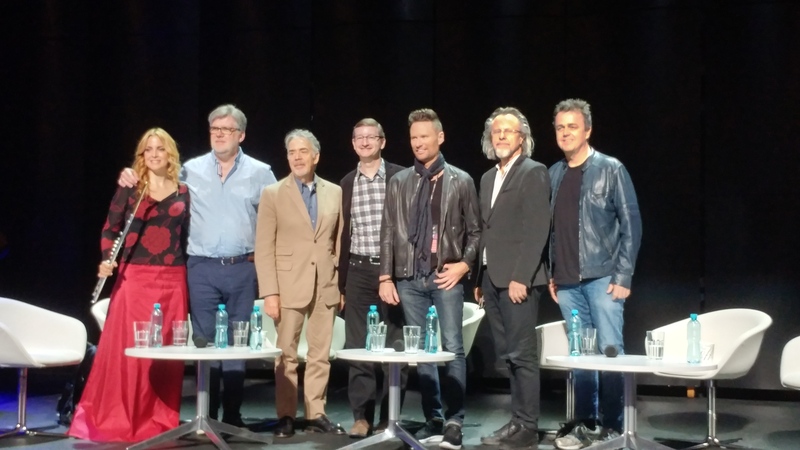 Broxton and Mitsiaki took part in a one-hour masterclass entitled “Independent Critics in Film Music,” which was moderated by entertainment journalist Ray Bennett and also featured writers Gorka Otieza and Peter Ebbinghaus. The discussion of the panel covered numerous topics, including the history of film music journalism on the internet, the role and history of the IFMCA, and the components necessary for a successful film score. Broxton then chaired a Q&A with composers Jean-Michel Bernard and Klaus Doldinger, both of whom were involved in concerts during the festival. Bernard, a virtuoso jazz pianist, spoke about his time working with Ray Charles and other legendary jazz musicians, his own work for director Michel Gondry on films such as The Science of Sleep and Be Kind Rewind, and the relationship between jazz music and cinema. Doldinger, meanwhile, spoke at length about his most famous cinematic work, The Neverending Story, and shared many anecdotes about that film, and his collaboration with director Wolfgang Peterson and producer Bernd Eichinger. The session concluded with an impromptu jam session featuring Bernard on piano and Doldinger on saxophone! The cornerstones of the event were the five concerts. 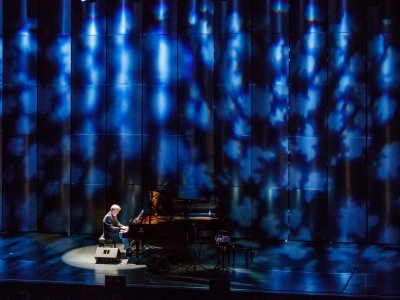 The opening night concert, which was held at the spectacular ICE Krakow Congress Center, was dedicated to the music of Polish composer and Krakow native Abel Korzeniowski. The concert saw the Beethoven Academy Orchestra conducted by the composer himself, and highlighted extended suites from many of the composer’s most notable scores, including the BAFTA-winning Penny Dreadful, the Golden Globe-nominated A Single Man, Escape from Tomorrow, the BAFTA-nominated Nocturnal Animals, the Golden Globe-nominated W.E., and Romeo & Juliet, which won the IFMCA’s Score of the Year award in 2013. Following the concert, an emotional Korzeniowski was presented with the ceremonial ‘key to the city’ by Krakow’s mayor Jacek Majchrowski. 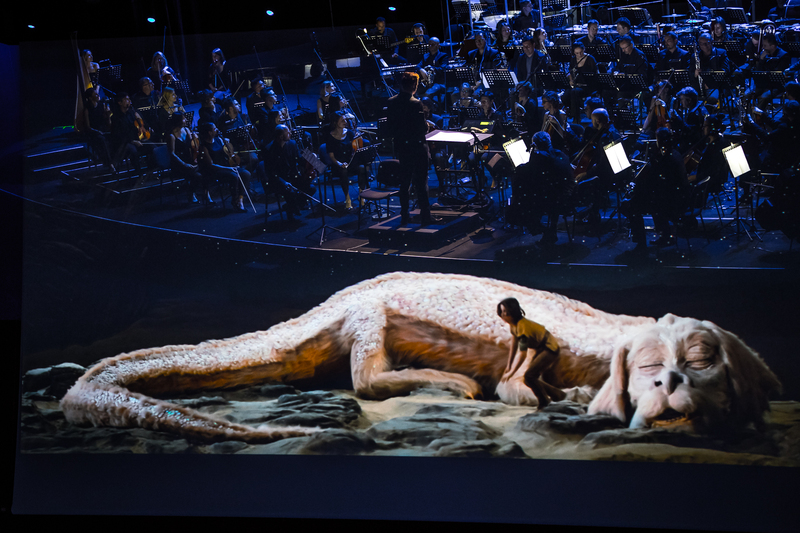 The second night’s concert was a screening of the beloved 1984 fantasy film The Neverending Story, with the music performed live-to-picture by the Sinfonietta Cracovia and the Cracow Singers under the baton of conductor Christian Schumann. The score’s composer, Klaus Doldinger, was in attendance at the concert, and at the conclusion of the film joined the orchestra on stage to perform with them a saxophone solo encore of his famous theme “Bastian’s Happy Flight”. The third night’s concert, Cinematic Piano, was a more intimate affair, in which composer and pianist Jean-Michel Bernard performed a selection of film themes and songs arranged for jazz piano, with special guests Sara Andon on flute, Jan Stokłosa on cello, and Kimiko Ono on vocals. The set included performances of music by a diverse range of composers, including John Williams, Ennio Morricone, Bernard Herrmann, Ryuichi Sakamoto, Lalo Schifrin, Alex North, Philippe Sarde, François de Roubaix, and Francis Lai, as well as Bernard’s own music from the films Ange & Gabrielle, The Science of Sleep, Human Nature, and Be Kind Rewind. Bernard was a superb pianist, who incorporated witty repartee and sparkling improvisations into his performance. The concert was followed by an outdoor all-night ‘dance party’ called Dance2Cinema, DJ’d from a booth in Krakow’s historic Jan Nowak-Jeziorański Square by Oscar-winning composer and music producer Giorgio Moroder. 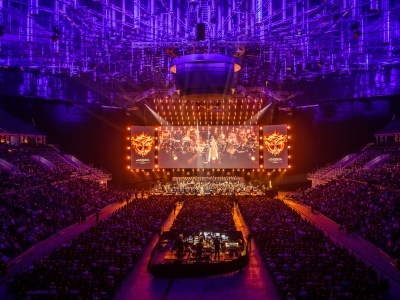 The fourth’s night concert was the FMF Anniversary Gala, subtitled ‘All is Film Music,’ held at the impressive 15,000-seat Tauron Arena on the outskirts of Krakow. After a lengthy introduction by RMF Classic radio host Magdalena Miśka-Jackowska, composer and conductor Diego Navarro led the Beethoven Academy Orchestra and the Pro Musica Mundi Choir through spectacular performances of several classic film themes, including selections from Howard Shore’s The Lord of the Rings trilogy, John Williams’s original Star Wars trilogy, Jan Kaczmarek’s Oscar-winning Finding Neverland, Jeff Russo’s Fargo, Hans Zimmer’s Inception, Justin Hurwitz’s Oscar-winning La La Land, and Alan Menken’s Beauty and the Beast, which was re-arranged as a fantasy for flute and orchestra for soloist Sara Andon by orchestrator Michael Kosarin. Several Polish artists were celebrated during the concert. Vocalist Natasza Urbańska performed the song “The Hanging Tree” from James Newton Howard’s The Hunger Games: Mockingjay, Abel Korzeniowski conducted more music from his score for Penny Dreadful, there were performances of music from Polish movies and TV shows including Sługi Boże by Maciej Zieliński and Belfer by Atanas Valkov, and Polish pop star Edyta Górniak performed a powerhouse song from the screen musical Dreamgirls. Many of the composers whose music was performed were in attendance, and conducted their own music for the audience. Brian Tyler led the ensemble through a spectacular tour of his most recent works, including Thor: The Dark World, Power Rangers, Assassin’s Creed: Black Flag, The Fate of the Furious, and Teenage Mutant Ninja Turtles, while teasing his upcoming score for The Mummy with a world premiere performance of that score’s “Ahmanet’s Theme”. Trevor Morris conducted a knockout performance of his music for the ABC fantasy TV series Emerald City, and Sean Callery brought a sense of finger-snapping cool to his scores for Homeland and 24 by augmenting the orchestra with his own jazz quartet featuring bass player Benoit Grey, among others. The concert was punctuated by several award presentations. Howard Shore was awarded the prestigious Wojciech Kilar Award in the memory of the late great Polish composer; producer Robert Townson was awarded the FMF Ambassador Award; and young Polish composer Paweł Górniak won the FMF Young Talent Award. The concert was followed by a black-tie reception hosted by the mayor of Krakow, held at the iconic Sukiennice Cloth Hall on Rynek Główny at the heart of Krakow’s historic old town. In addition to the concerts, the festival also featured the European premiere of the film Score: A Film Music Documentary, a wide-ranging look at the history of film music from the silent era to the present-day, and which was co-produced by IFMCA member Dan Goldwasser. Other masterclasses during the week covered a multitude of topics ranging from the art of orchestration to creating custom trailer music, sound design, dealing with temp scores, and writing lyrics, and featured guests including composer Richard Bellis, educator Daniel Carlin, BMI executive Doreen Ringer-Ross, ASCAP executive Shawn Le Mone, Ghent film music festival programmer Valerie Dobbelaere, publicist Ray Costa, and agent Jana Davidoff. The IFMCA wishes to extend its sincere thanks to FMF Krakow’s organizers Robert Piaskowski, Agata Grabowiecka, Joanna Pichola, and Klaudia Pelc, as well as the superb team of volunteers who made everything run so smoothly and efficiently. 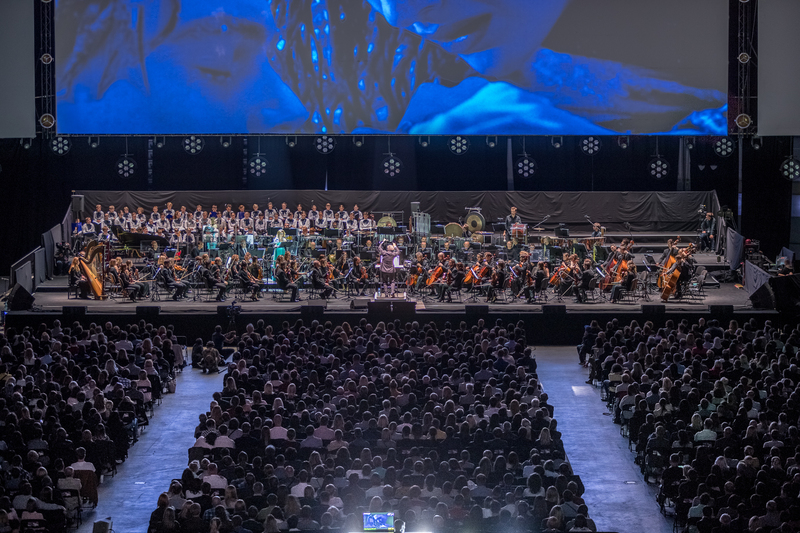 The IFMCA is honored to be able to take part in such a prestigious event, and to support the ongoing work of the FMF Krakow team in promoting and celebrating the art of film music! Click on the thumbnails for larger images. Photography by Wojciech Wandziel, Holly McQuillan, and Jon Broxton. All the names and places are there.